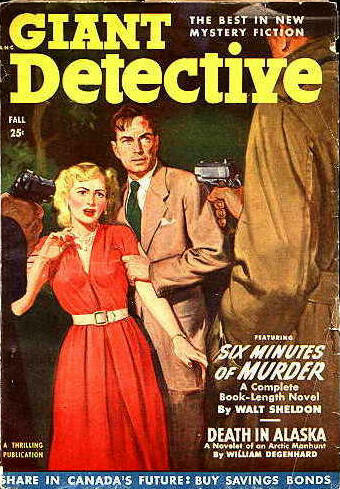 Identical contents to the US issue of the same date. Details taken from eBay listing. 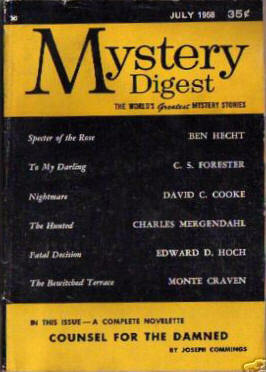 Title changed from Mystery Book Magazine (Canada). Incomplete Data - Issue not found - probably identical contents to the US issue of the same date. 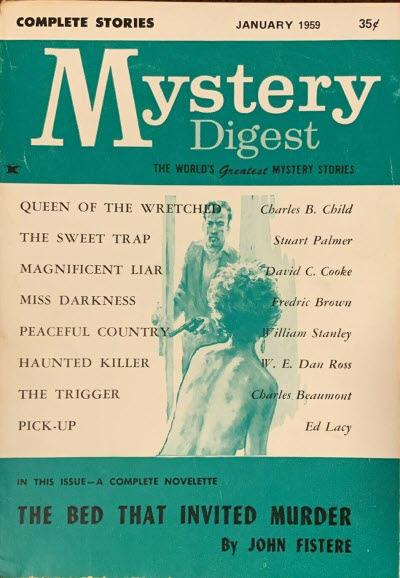 Short-lived magazine featuring fiction, non-fiction, contests, news, gossip. 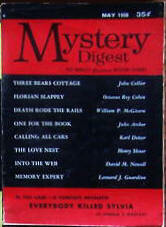 Published in the late 1990s, but number and dates of issues not known. 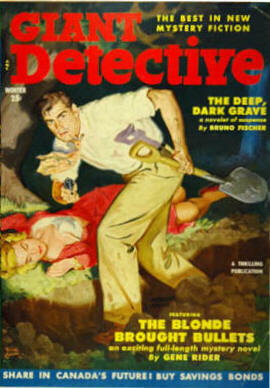 One of the many undated one shot magazines published in the UK in the years after the Second World War. 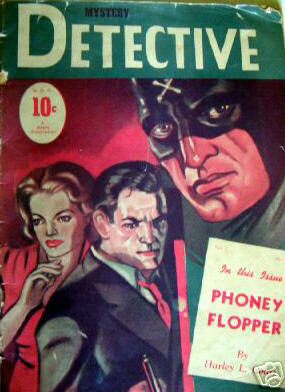 Third in a loose series with Crime Confessions, Phantom Detective Cases and Dynamic Detective Cases. Only price shown is 25¢. 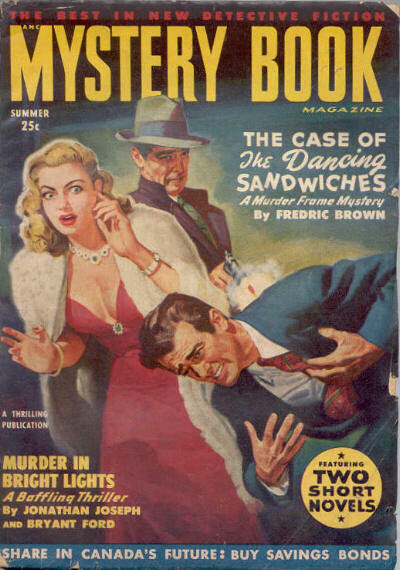 --- see under Street & Smiths Shadow Mystery Magazine (UK). 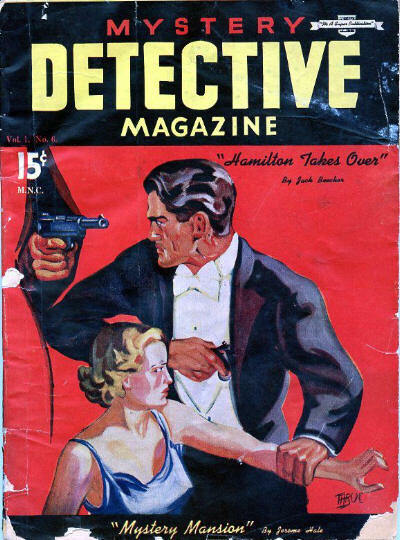 Original Canadian magazine that seems to have run for at least six issues in the 1940s, possibly in a variety of formats. 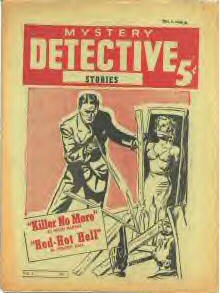 The title also seems to drift between Mystery Detective, Mystery Detective Magazine, and Mystery Detective Stories. Phoney Flapper · Harley L. Court · ss; possibly Phoney Flopper. Details supplied by Rob Preston. 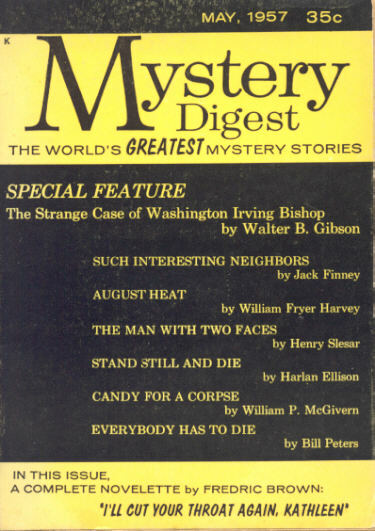 Spine reads Mystery Detective, cover & Table of Contents read Mystery Detective Magazine, and inside on the pages it says Mystery Detective Stories. 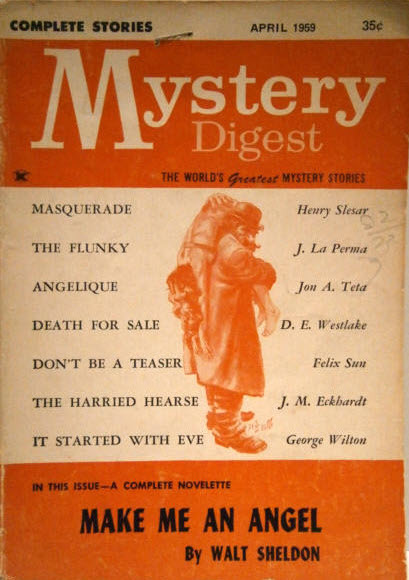 Mystery Digest was one of the more successful digest magazines, publishing an impressive array of stories and authors. 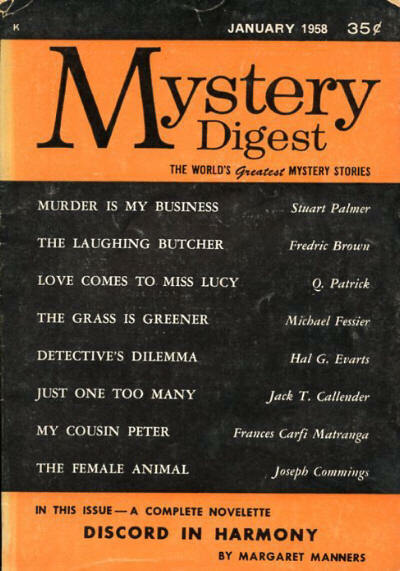 Passer Press Company; 527 Lexington Avenue, New York 17, NY: Mystery Digest, May 1957. 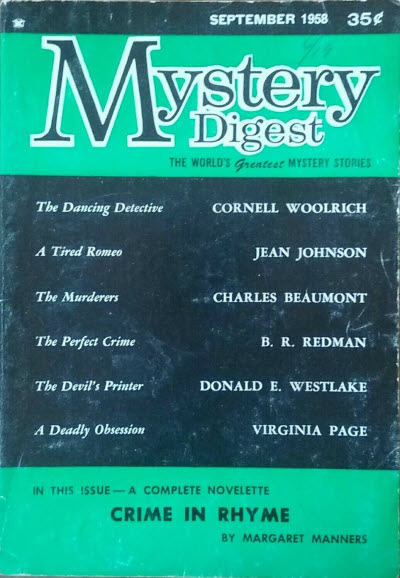 The Grenville Press, Inc.; 527 Lexington Avenue, New York 17, NY: Mystery Digest, Jul 1957. Shelton Publishing Corp.; 527 Lexington Avenue, New York 17, NY; and later at P.O. 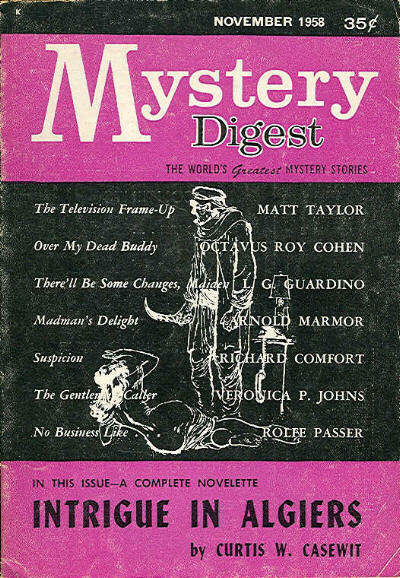 Box 164, Cathedral Sta., New York 25, NY: Mystery Digest, Sep 1957  Jun 1963. 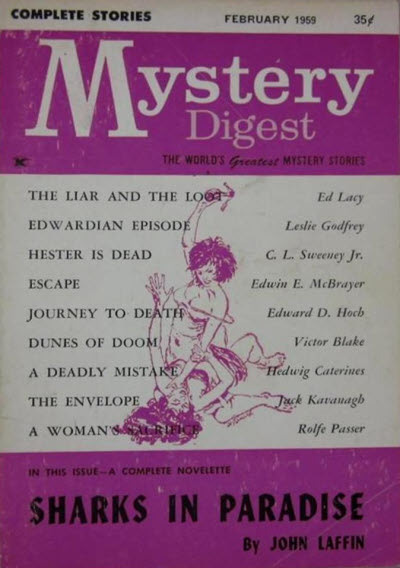 Rolfe Passer - Editor: Mystery Digest, May 1957  Jul 1957. 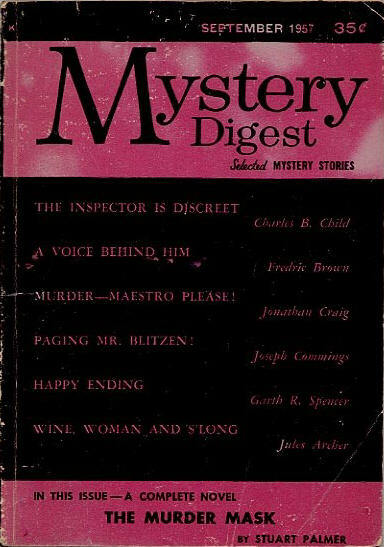 Joseph Commings - Editor: Mystery Digest, Sep 1957  Mar 1958. 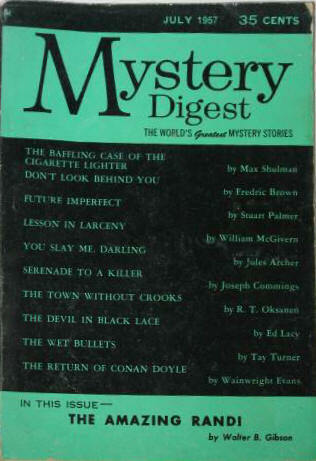 William MacFarlane - Editor: Mystery Digest, May 1958  Feb 1959. 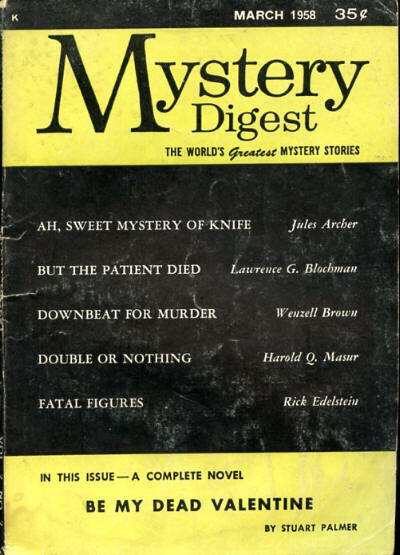 Donald E. Westlake - Editor: Mystery Digest, Mar 1959  Dec 1959. 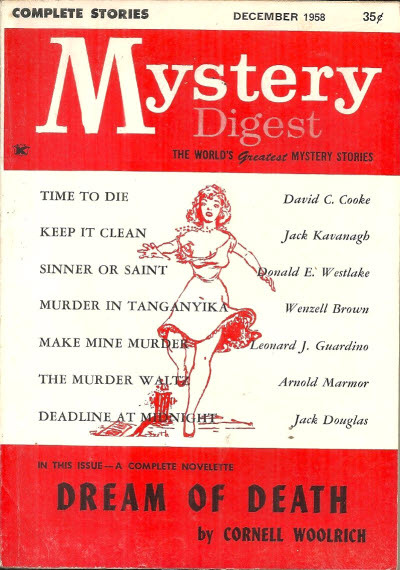 Jon A. Teta - Editor: Mystery Digest, Jan 1960. 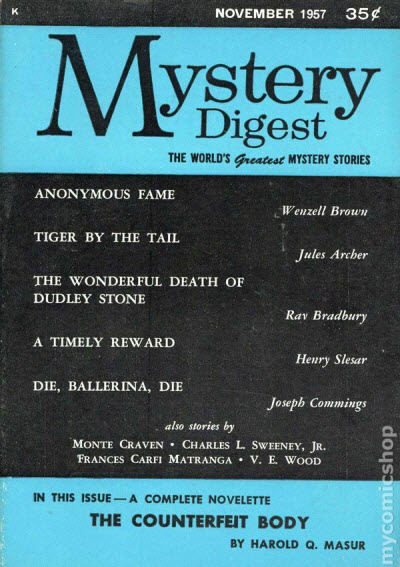 Rolfe Passer - Editor: Mystery Digest, Mar 1960  May 1963. 71 · The Wet Bullets · Tay Turner · ss; given as by Kay Turner on the story itself.